Classic dual french nails with silver and white. I think this is really elegant! Think this is what brides would love. 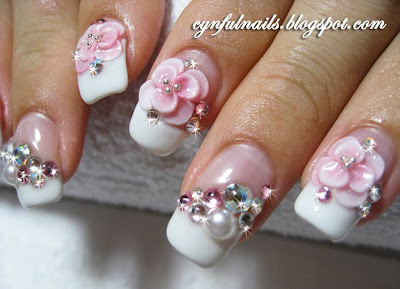 French style nails with pink flower petals and all the bling stuff! Gel overlay on natural nails.